The cliffhangers are always misleading and this time, I guessed it right. Dok-mi pulling Enrique away from Seo-young is not because of her feelings but to avoid misunderstanding between Tae-joon and Enrique. But the one that suffers the most from the blow is not other than Jin-rak. Poor poor poor lad. His expression says it all: how sad and how heartbroken he is. His sulky face might seem funny but to me, it makes my heart sink to the bottom for him. 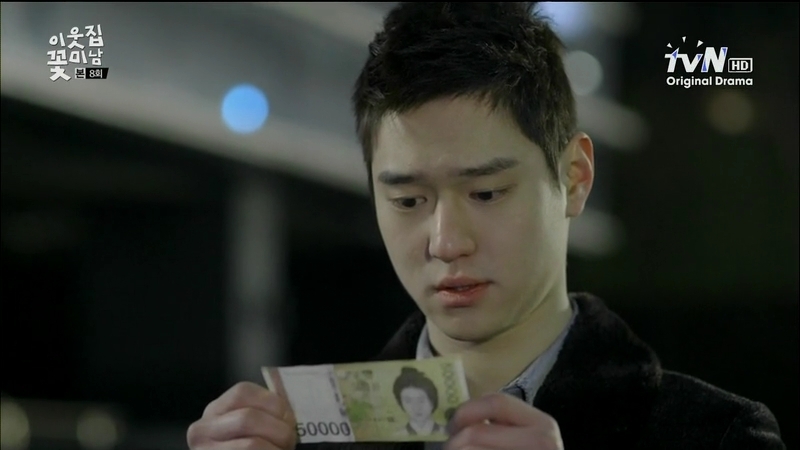 Enrique is definitely stuck in between his desire to help Tae-joon and Jin-rak. Pity the Panda too. he has a lot of explanation to do. Still, Jin-rak and Enrique make the best partners in crime. Their little bickering here and there is too good to be missed. 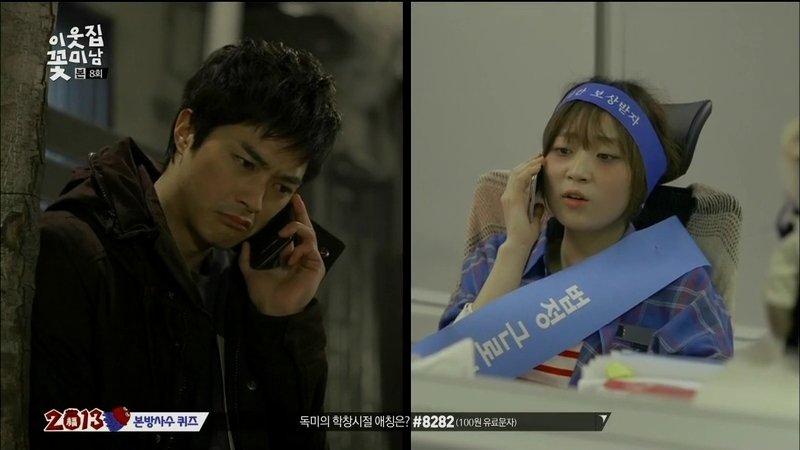 But still, Jin-rak is definitely the rising star in stalking and eavesdropping. It’s just that he needs more and more and more practice, possibly an additional course on it too. I’m suddenly shipping Jin-rak and the female editor. They’re both crazy and it will be interesting to see them arguing and screaming at the top of their lungs. Think about it: they have the same background, the same ideology, and the same level of voice volume. They can be the nerd couple and participate in those protests together while drawing and editing those webtoons. What an ideal couple! Dong-hoon…his real intention of doing the substitute driver thing every single night is not simply because of the girls. True, he’s enjoying the chance of getting chummy with those beauties but his expression at the sight of money tells me something else. Is it possible for a little back story about him? I am interested in getting to know more about him. That thief ahjumma is not a mere thief. She’s sort of a stalker/ hater and probably harbors too much resentment over Enrique. I am scared that Tae-joon will misunderstand the whole thing but luckily, he’s cool about it. It’s just that I kind of feeling sorry for Seo-young: getting involved in a scandal is never pretty to begin with. I hate that ahjumma. Jin-rak and his Doo-hwi. Hahaha! Jin-rak doesn’t get his dream to stroll around with Dok-mi; instead, he ends up picking the completely sober Do-hwi and getting a free kiss from her. Not a good thing for him (but still lucky when Dok-mi is few seconds late) but he gets to tell her about him liking someone, hinting the clueless Dok-mi about it. 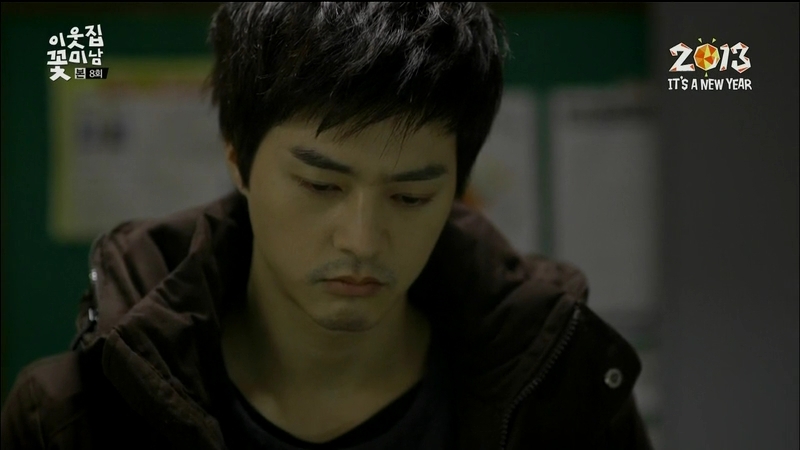 A bonus for Jin-rak when he manages to put two and two together, realizing that Do-hwi approaches him with a motive. It looks like Dok-mi’s crush has not ended yet and she’s pretty excited when Tae-joon texts her. Enrique is the mischievous one, using his phone to lure her out. Sneaky. 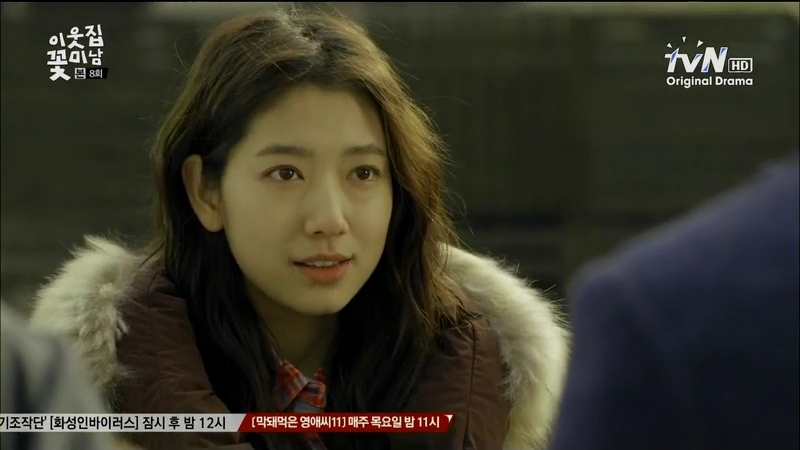 At least Dok-mi gets to bid Tae-joon a final goodbye before her secret crush leaves and meets Hippo. Enrique is satisfied to see her all happy but it’s not for to long. How she’s going to cope with two goodbyes when Enrique is leaving too? It’ll be one tough friendship experience with her 😀 Still, she’s one of the mood maker among the characters with her effort to seduce Jin-rak but ends up being ignored all the time. Hahaha! your posts are always such a treat. i’m really enjoying this show, with its easy pace, mysteries, and heart-tugging. you sure love the drama, including Do Hwi? (not not liking the acting though, only the character) 🙂 and PSH is the perfect Dok MI. i agree it should be titled as such. as for Enrique on this ep? >3 >3 >3 teehee!